Fulfilling the promise of personalized medicine will require more patient education, greater access to treatments, and new commitments by insurers to pay for the new drugs, an umbrella group that represents more than 200 academic, industry, patient, provider, and payer communities said today. The Personalized Medicine Coalition (PMC) cited a survey it commissioned that showed only 38% of respondents had ever heard of “personalized medicine”—the targeting of new drugs to patients most likely to benefit from them, using diagnostics to identify biomarkers. PMC and other proponents say personalized medicine has the potential to revolutionize disease treatment and contain spiraling healthcare costs. Only 11% of those surveyed said their doctor had discussed or recommended personalized medicine to them. Amy M. Miller, Ph.D., evp of PMC, told GEN the coalition thinks one reason for the lack of patient awareness was the dearth of personalized medicine products and services until lately. That number has climbed, according to PMC, from 13 a decade ago to 113. “Personalized medicine leads the way in cancer, but there are fewer examples in chronic disease conditions, and I think that’s the other reason why awareness is low,” Dr. Miller said. During a panel discussion of survey results at the National Press Club in Washington, D.C., Dr. Miller joined three experts in agreeing that advancing personalized medicine will require professionals to agree on a term of art—all agreed on personalized medicine—and to publicize successful treatments. Dr. Kucherlapati was joined on the panel by Randy Burkholder, vp of policy at Pharmaceutical Research and Manufacturers of America (PhRMA); Donna Cryer, J.D., president and CEO of the Global Liver Institute; and Mark Richards, svp and management supervisor with survey conductor KRC Research. They joined Dr. Miller in unveiling findings from the survey, which questioned 1,024 American adults by landline and mobile phone from March 5–16. The margin of error for the total sample was plus or minus 3 percentage points. 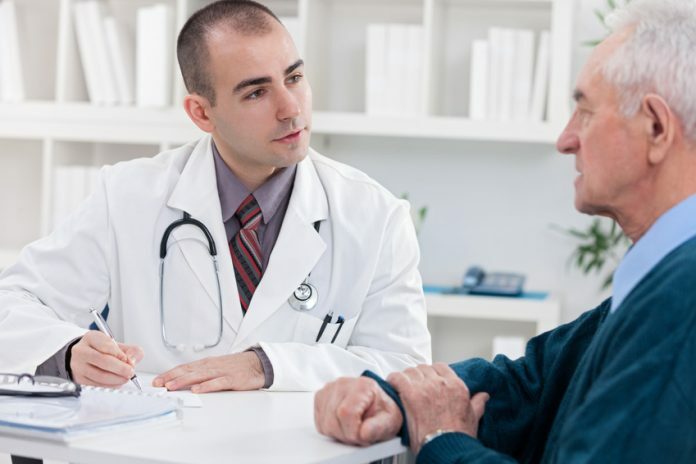 According to the survey, almost two-thirds of respondents (65%) reacted mostly positively to a description of personalized medicine, with 37% saying they were very likely to undergo a diagnostic test toward an individualized treatment plan. Another 40% said they were “somewhat’ likely. However, more than two-thirds of patients pinpointed two overlapping concerns with personalized medicine—that their insurers won’t cover it (69%) or they cannot afford it (67%). PMC is calling for insurers to fund new personalized treatments. That is near-certain to be resisted by the payers, which have balked at reimbursing providers for the sky-high price of new drugs designed for subpopulations and want drug developers to shoulder more of the cost. Drugmakers also balk at paying more, contending that it would slow down the development of new medicines, and that they need to recoup R&D expenses. Yet the developers face growing political pressure to contain drug costs. Since March, four Democrats in the Republican-majority U.S. House of Representatives have criticized Gilead Sciences for charging $84,000 per 12-week treatment for the chronic Hepatitis C virus treatment Sovaldi™ (sofosbuvir). One of the four, U.S. Rep. Henry A. Waxman (D-CA) is set to join two advocacy groups Wednesday in calling for reduced Medicare drug costs. Waxman is ranking member of the House Committee on Energy and Commerce, which on Wednesday will host a “21st Century Cures” roundtable talk on personalized medicine whose speakers will include PMC President Edward Abrahams, Ph.D.
She said payers can be persuaded to support new tests that show clear benefits, citing recent decisions by insurers to reimburse providers for noninvasive prenatal tests for trisomy disorders such as Down syndrome. “We see this as an opportunity to discuss what personalized medicine means holistically,” Dr. Miller said.